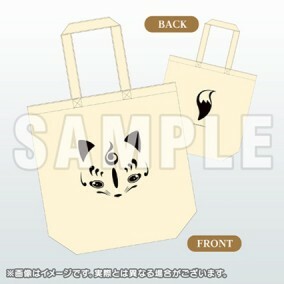 Cute and compact tote bag featuring Konnosuke. Konnosuke's face is on the front, and his tail is printed on the back. ・All images are for illustrative purposed only. Actual product may slightly vary. First appeared at the Yuru-Chara Grand Prix 2016 in Egao no Ehime.